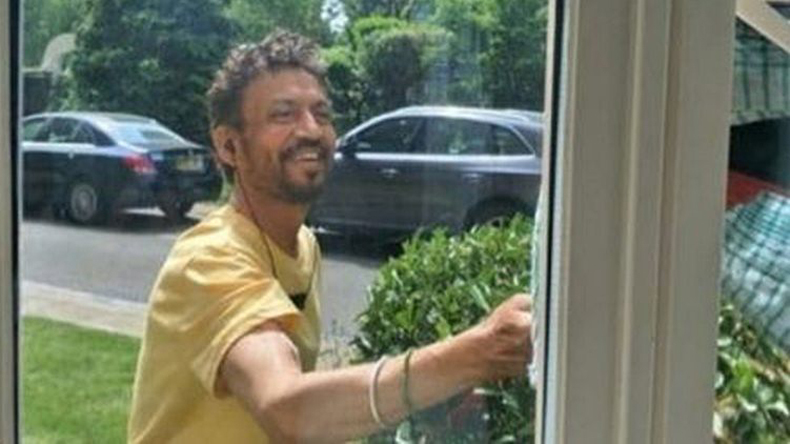 Bollywood actor Irrfan Khan, who is currently undergoing treatment for cancer in London, has completed the fourth stage of chemo. After the actor shared his latest health updates, fans wished for his recovery on social media and added that they cannot wait to watch him shine on the silver screen. As much as the audiences are happy to see Irrfan Khan in his latest release Karwaan along with Dulquer Salmaan and Mithila Palkar, the actor is being equally missed by fans while he fights cancer in London. After the actor shared his latest health update in an interview with AP, Fans all around the country poured in their well wishes and expressed their desire to see him come back and shine on the silver screen. In the interview, Irrfan had stated that he have had the fourth cycle of chemo and six cycles are yet to go after which he will need to get a scan. Although after the third cycle the results were positive, they need to see the sixth scan. He further added that there is no guarantee of life with anybody. Speaking about the same, Irrfan said that his mind could always tell him that he has his die and he could die in a few months or a year or two. Or he can just avoid the conversation and live life the way it offers him. He added that life offers so much, admitting that he was walking around with blinders as he could n0t see what it offered him. Opening up about his rare disease, Irrfan stated that the unexpected makes one grow. Finding out about his illness has been difficult but the love and strength of those around him had brought him to a place of hope. Workwise, Irrfan Khan was scheduled to start shooting for Vishal Dadlani’s upcoming film along with Deepika Padukone that has been postponed indefinitely. Sir these lyrics are from an old song. This always inspires me whenever i am down or sad. "Duniya mein kitna gam hai, mera gam kitna kam hai, auron ka gam dekha to main apna gam bhul gaya". I was to see you again roaring the silver screen. Get well soon. Hello IRFAN Sir….I m ur big fan….I wish and I believe u will definitely come back with super extreme energy and entrain us with ur awesome marvelous acting. God will heal ur all pain.a huge no. Of fans pray for u ,so God u have to listen us.🙏v love u IRFAN…. Just wanted you to know that I am praying for your full recovery. I believe you will be healed and will return to your craft.